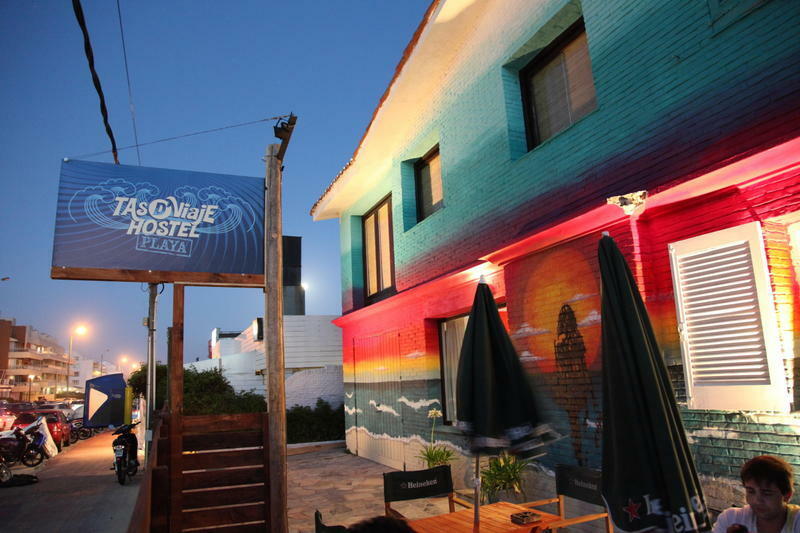 TAS D'VIAJE PLAYA Hostel is the only hostel in Punta del Este located just 20 feet from the beach. Just 4 blocks walk from the Bus Station and also 1 block walk to the Main Street. You will have an amazing stay here, in our new, clean, comfortable and spacious rooms with spectacular interior decoration. We also offer Free Internet & WIFI and a fully equipped modern Kitchen (microwave, refrigerator). Our Barbecue and garden are great places to chill out and make friends as well as start out the night the right way. Once you reach the Punta del Este Bus Station walk to the Brava Beach, then turn right, walk 3 blocks and there we are! In the corner of 26st and 27st. Just 15 meters of the famous surfer beach El Emir! !